The Golden Globes Cocktail Ring is the brightest star in Hollywood. 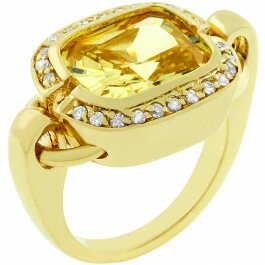 This gorgeous cushion cut jonquil masterpiece is supported by a brilliant cast of clear CZ set high on a golden shank. Make her yours. White Gold Rhodium Bond is achieved using an electroplating process that coats the item with heavy layers of rhodium a close cousin of platinum that costs three times as much which gives our jewelry a platinum luster.